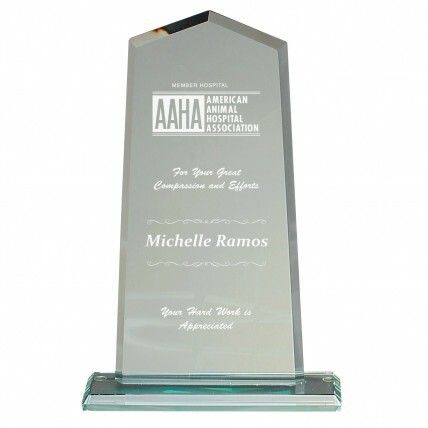 Reward your professional guests for their talents and hard work with the elegant Acme Glass Award. With its defined edges and sharp corners this award will look exquisite while being presented at your award ceremony. 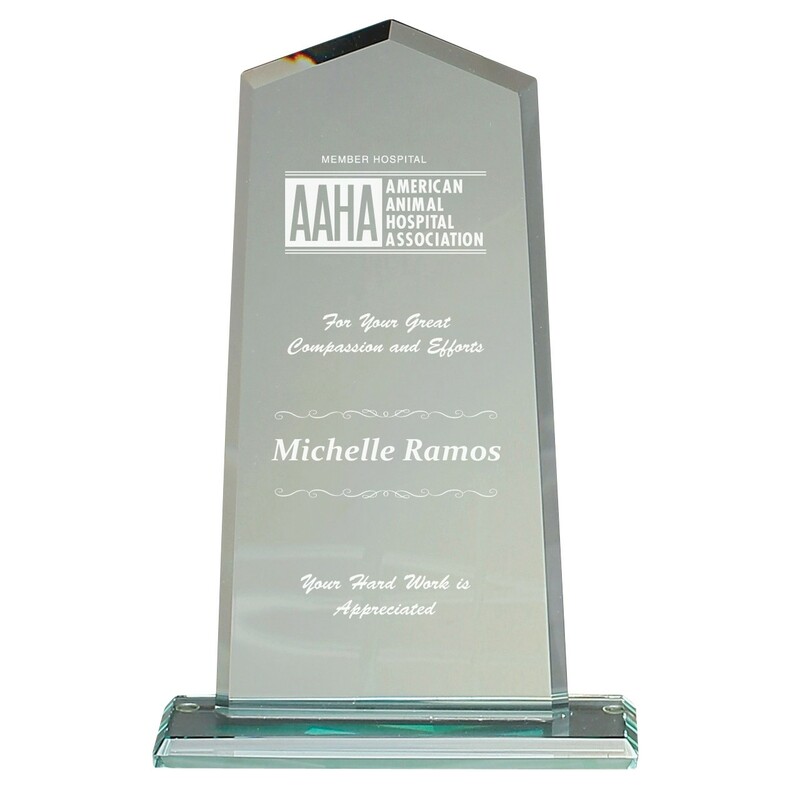 With its jade tint, your custom engraving, and size choices this award is sure to impress everyone at your event. Give those who are most deserving of recognition a token to show them that you notice all of their effort and hard work. Now on SALE 50% off! Quantities limited.